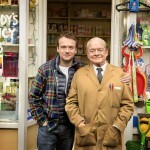 Home » Actors/Actresses » Comedy » After 'Still Open All Hours', could there be a 'Still Only Fools and Horses'? After headlining the BBC One schedule on Boxing Day and with hopes of a full-blown series possibility this coming Spring, Still Open All Hours may soon have a bit of friendly competition when it comes to the return of classic comedy nostalgia to television. 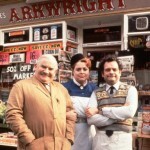 In the original Open All Hours, Ronnie Barker starred as the stammering, miserly owner of Arkwright’s Grocery. 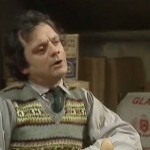 Nephew Granville, played by David Jason, consistently blamed his relentless work schedule for his visible lack of a social life. 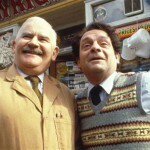 In Still Open All Hours, Sir David Jason reprises his role as Granville, who has inherited a grocery shop from his beloved skinflint Uncle Arkwright. Granville now runs the shop with his son Leroy, a cheerful, good looking kid with more female admirers than Granville ever dreamed of. While Granville sees him as the shop assistant, he sees himself as the head of IT. 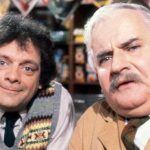 In a sense, for Still Open All Hours, Granville has become Arkwright while Leroy takes on the role of the foil for Granville. Could it be Still Only Fools and Horses too? Personally, on paper and in the clips I’ve seen, Still Open All Hours has the potential to connect to a 21st-century comedy audience. I’m not so sure about an Only Fools and Horses re-do. Fast-forwarding Del Boy some 25 years later just doesn’t seem to read as well. What did work better, for me, was the OFAH prequel one-off, Rock & Chips, starring Nicholas Lyndhurst as Freddie Robdal and James Buckley as a young Del Boy.